The Silver Lining in Chicago's North Shore Real Estate Market! The North Shore Real Estate market has seen its share of ups and downs along with the rest of the nation. Homes in the North Shore have always seemed to receive great attention from home buyers due to their convenient location, charming character, excellent school districts as well as options for shopping, dining and many other key features. Over the last year the housing market has seen a surge of home sales as the government tax credit gave many the boost they needed to jump into the market with both feet. 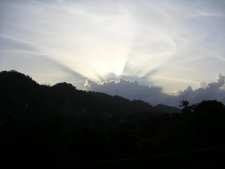 North Shore real estate saw this same effect and many homes came on the market and were swept up by excited buyers. But what type of ramifications did the tax credit bring about? Predictions told of a sudden drop off of sales, and in May and June, we found this to be true. And although it seems that perhaps the tax credit failed in its long-term goal, there is a silver lining. According to Kenneth R. Harney, a nationally-sydicated housing and real estate columnist, there is a reason to be positive about the current market. Below are three key points he pointed out. 1. "The 2.2% drop in resales of existing homes was actually a smaller decline than many analysts had expected in the wake of the tax credit phaseout. More importantly, though, home resales in May were nearly 20% higher than the year before." 2. "Median prices in 16 of the top 20 markets were higher, including a surprising 7.4% increase in the Western region. 3. "Sixty of the top 100 metropolitan markets are seeing positive appreciation, according to Corelogic- and that's a huge contrast with a year ago, when all 100 markets were reading negative." So it seems there's good news after all! With the North Shore market picking up, there are more opportunities to buy or sell your North Shore home. If you have questions on starting your home search, finding the ideal neighborhood, putting your home on the market or you just want to know more about Chicago's North Shore real estate- let me know! I enjoy helping people connect to this great area. Highland Park Active Listings: There are a total of 435 properties actively on the market with the average price of $2,064,693 in Highland Park. Highland Park Sold Listings: 56 properties closed last month in Highland Park with an average sales price of $565,160 the average time on market for these properties was 176 days. To view the complete market statistics for Highland Park including additional detailed data, charts ad graphs, please click on Highland Park Market Stats! Winnetka Active Listings: There are a total of 236 properties actively on the market with the average price of $2,064,693 in Winnetka. Winnetka Sold Listings: 236 properties closed last month in Winnetka with an average sales price of $1,234,281 the average time on market for these properties was 98 days. To view the complete market statistics for Winnetka including additional detailed data, charts ad graphs, please click on Winnetka Market Stats! Northbrook Active Listings: There are a total of 501 properties actively on the market with the average price of $608,780 in Northbrook. Northbrook Sold Listings: 74 properties closed last month in Northbrook with an average sales price of $418,511 the average time on market for these properties was 126 days. To view the complete market statistics for Northbrook including additional detailed data, charts ad graphs, please click on Northbrook Market Stats! Deerfield Active Listings: There are a total of 262 properties actively on the market with the average price of $535,369 in Deerfield. Deerfield Sold Listings: 31 properties closed last month in Deerfield with an average sales price of $496,287, the average time on market for these properties was 111 days. To view the complete market statistics for Deerfield including additional detailed data, charts ad graphs, please click on Deerfield Market Stats! Glencoe Active Listings: There are a total of 141 properties actively on the market with the average price of $1,926,804 in Glencoe. Glencoe Sold Listings: 9 properties closed last month in Glencoe with an average sales price of $878,248, the average time on market for these properties was 150 days. To view the complete market statistics for Glencoe including additional detailed data, charts ad graphs, please click on Glencoe Market Stats! 10 Tips for Finding Your Chicago North Shore Home! Chicago’s North Shore is filled with great homes in all different sizes, styles and neighborhoods. If you’re a first time home buyer, it may seem overwhelming to know where to start. You know the emphasis is on “location, location, location” and of course money always plays an important role, but there are other factors to take into consideration. Here are ten things to focus on when buying your North Shore home. 1. Location- No matter how tired we get of hearing it; this is one of the most important things! You can always make changes to the interior and exterior of your home, making it look exactly as you would like, but you cannot move your home to a new location. Be sure that the location you choose matches your desires for things such as schools, area shops, and work commute. Luckily, Chicago’s North Shore offers many ideal locations! 2. Situational Factors- Other than the location of the home, be sure to check out the other details of the location. Is the home on hill with a view? Do your windows look directly into the neighbors’ home? Is the yard good for pets, children or a garden? 3. Neighborhood- Does it appear that the neighbors care for their lawn and home? Is this neighborhood safe for you or children? Would you enjoy driving into your neighborhood each day? Although the home is where you live, your neighborhood will help set the tone. 4. Curb Appeal- Be sure to consider the home’s condition and determine whether you are willing to put in extra money if updates are needed. Reflect on the style of the home to see if it is in line with your style. If gardening is not something you like, be sure to consider the maintenance of the lawn and foliage. 5. Size and Floorplan- Although you want the most space for your money, buying a home that’s too large may not be in your best interest. Know your goals for the home, whether it’s a long term home or just a step to your North Shore dream home. Floor plan also play a role in how comfortable and efficient your home is for you. 6.Bedrooms and Bathrooms- Figuring out exactly what you need is a great start. You may know you need two bedrooms, however having an extra room for guests or a home office is a great idea. Be sure you’re comfortable with the amount of bedrooms and bathrooms- these rooms will get the most use! 7. Kitchen- The kitchen is the “heart of the home” so you want to know you enjoy the space! Remodeling is always an option, but is a huge undertaking and can become very costly. 8. Closets and Storage- North Shore homes can tend to be more established homes where storage was not on the top of the priority list. Check out the closets and storage space to see if you can live with it. Remember, there are always options of wardrobe’s or other creative ways to get more storage space in a room. 9. Windows and Lighting- Consider the amount of windows or light available in each room. If you need bright spaces, a home with only a few windows may not be the place for you. 10. Finishing Touches- Look at those special details that make the home stand out. While this is minor, it is still what makes a home feel pulled together. If you absolutely love the North Shore home; buy it. You can always make those updates later. I hope these tips have been helpful! If you’re looking for a home in the North Shore market, let me know! I enjoy helping people find that perfect fit! Chicago's North Shore Community of Northbrook Celebrates the Arts This Weekend! Chicago’s North Shore is comprised of active and charming cities that each have a unique atmosphere. I enjoy the opportunity to be constantly interacting with these communities such as Evanston, Northbrook, Deerfield and Glencoe, and many more as I show clients around and help them find the North Shore home that best fits their needs and lifestyle. It seems there is always something to do in Chicago’s North Shore and it just so happens Northbrook is hosting a great event this weekend. 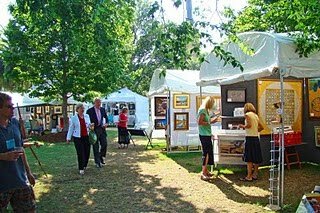 Art in the Park- A Northbrook Fine Arts Festival, is taking place this Saturday and Sunday, July 10th and 11th from 10am to 5pm each day. Sprawling across the lovely Northbrook Village Green area will be over 70 artists from across the country! Art forms such as oil, watercolor and acrylic paintings, photography, jewelry, wood, glass and many more will be showcased during this festival. Live music, upscale food, children’s art activities and a local junior art festival will round out this fun event! For more information, feel free to visit the Northbrook Nine website. There are many reasons to visit Northbrook or make it your permanent residence! If you have any questions about Northbrook or any of the other North Shore communities; let me know! I’d enjoy the opportunity to show you around and help you find the home you’ve been searching for!